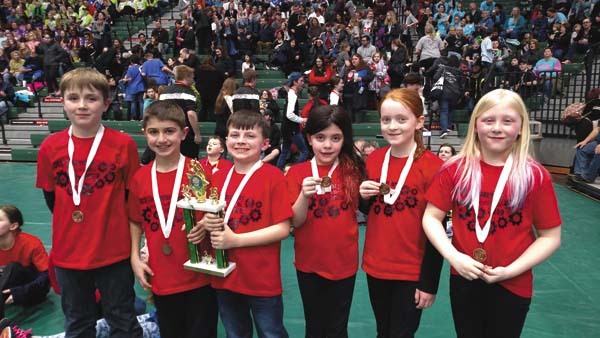 ST. JOHSNVILLE — Oppenheim-Ephratah-St. Johnsville students were hiding in plain site with their skills and creativity that led them to place third in the Odyssey of the Mind State Tournament in March with their creative skit to solve the long-term problem of Hiding in Plain Site. Team members made of students in grades 3-5, Myles Hayes, Henry Schoff, Ava Murray, Devin Schell, Kayleigh Araujo and Kaylee Heroth who were coached by Nicole Murray, Abbey Schoff and Lisa Hayes, earned the score of 283.59 which put them in third place out of 19 teams in their grade division. 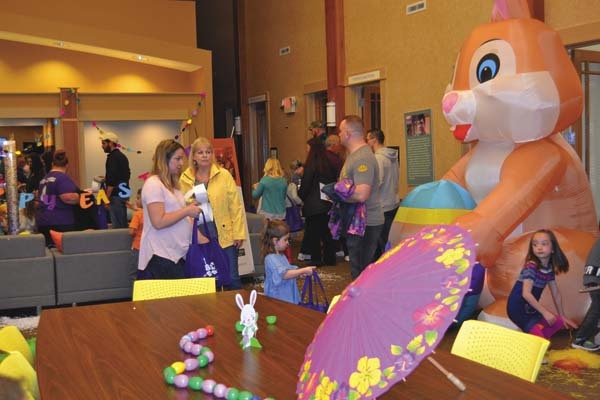 OESJ Central School District had a total of three teams this year participate in Odyssey of the Mind. 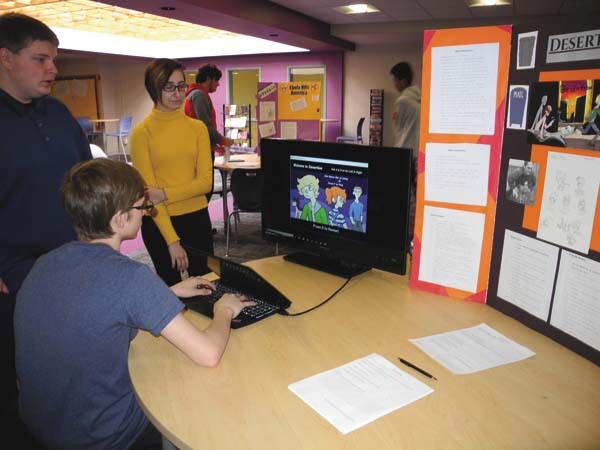 Last year there were two teams with one team making it to the state competition, and this year three teams competing with two of the three teams qualifying for the state competition in Binghamton. As part of the competition, the team had five long-term problems to choose from and chose the problem of Hiding in Plain Site. To solve the problem, the team had to come up with a skit in which they had months to prepare for, but only eight minutes to present their skit. Schoff said for their skit, the team chose to make an eel that had a motor in it to move. There were four tasks as part of the long-term problem which the students had to follow. They had to make the eel move, make sound, light up and change color. In their skit, the students designed an aquarium in which the eel escapes its tank and hides in a tank with sharks. One of the team members played a searcher who had to look for the eel. Other team members played as other types of fish or as sharks. Schoff said everyone was involved. The team was scored based on creativity and out-of-the-box thinking. Their score of 284.59 is a combination of their long-term problem along with the spontaneous questions portion of the competition. Students are separately taken into a room and asked a series of spontaneous questions. Scoff said coaches are not allowed in the room and the students are not allowed to say what the questions are and are not given time to prepare for the questions. Both students and coaches do not know what the questions are beforehand. Schoff said a majority of Odyssey of the Mind is centered around out-of-the-box thinking. “The more creative, the more points you earn,” she said. The competition also helps build friendships and teaches the students to work together as a team. Schoff said her son, who is on the team, learned that his opinion is not always the right one. Odyssey of the mind also challenges students to think of new ways to solve problems. 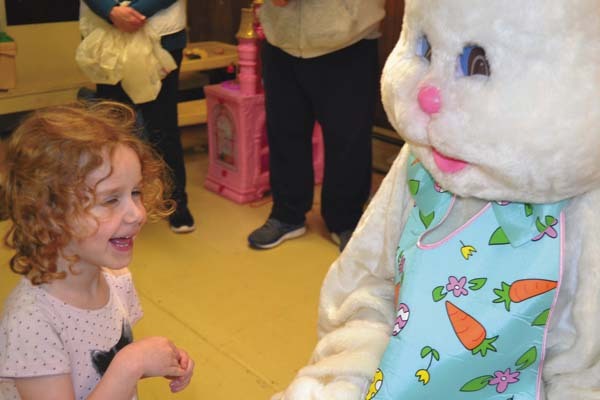 “It teaches them that the most common way isn’t always the best way,” Schoff said. She said the team had a great time in Binghamton.